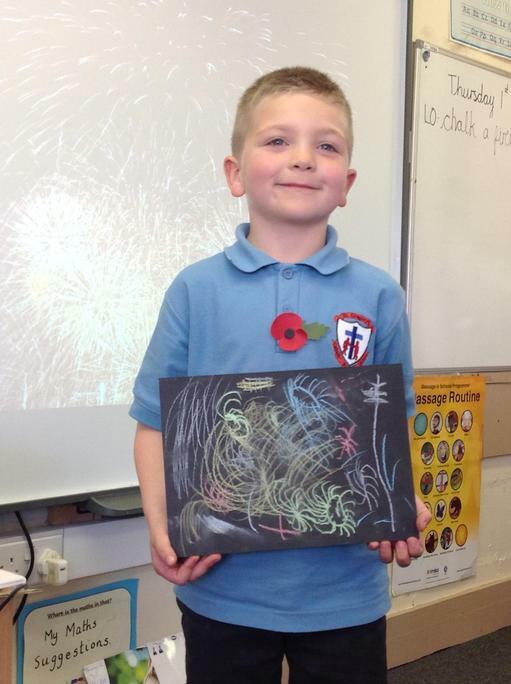 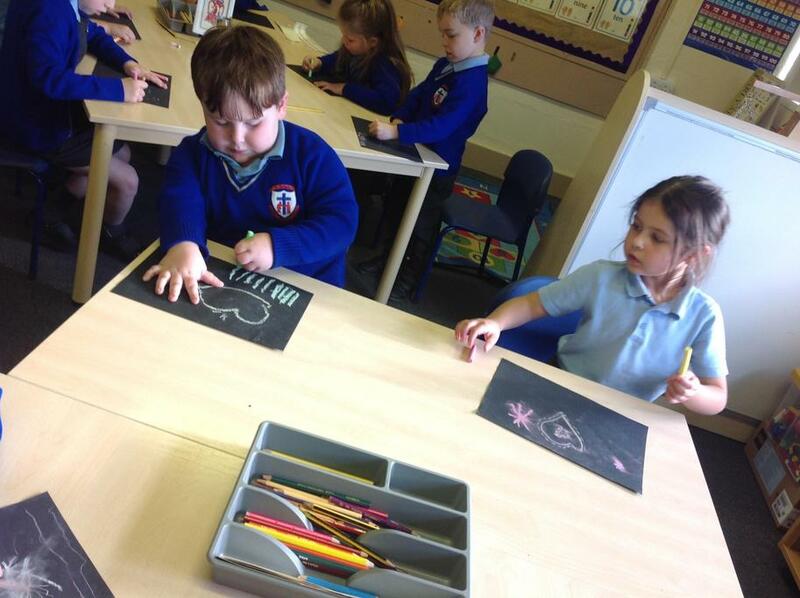 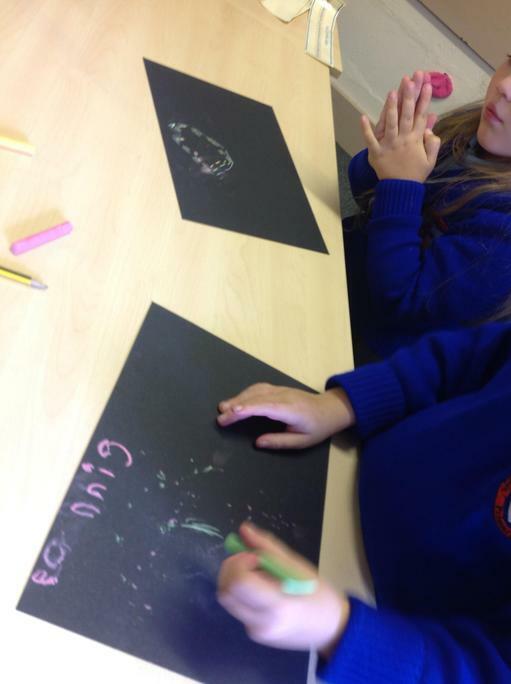 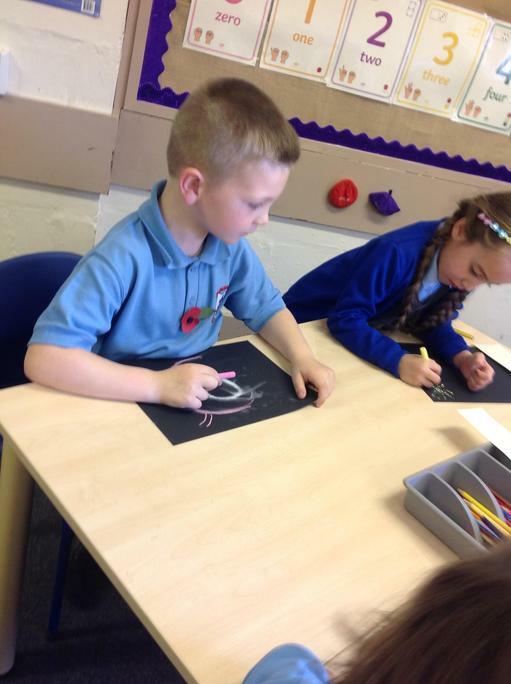 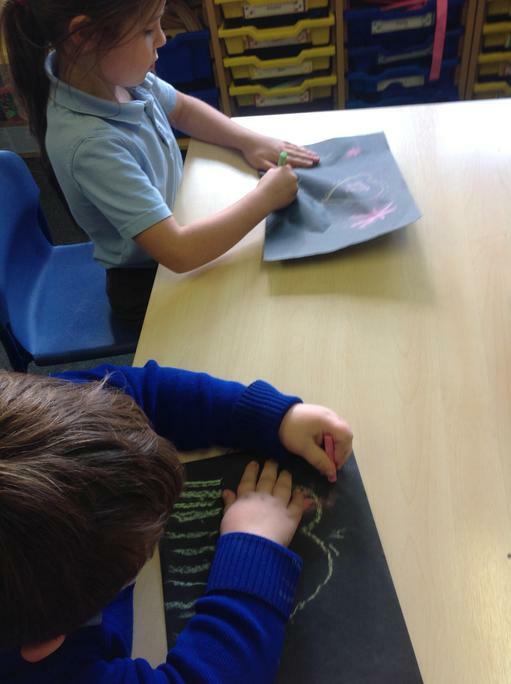 Children have created Firework art using chalk. 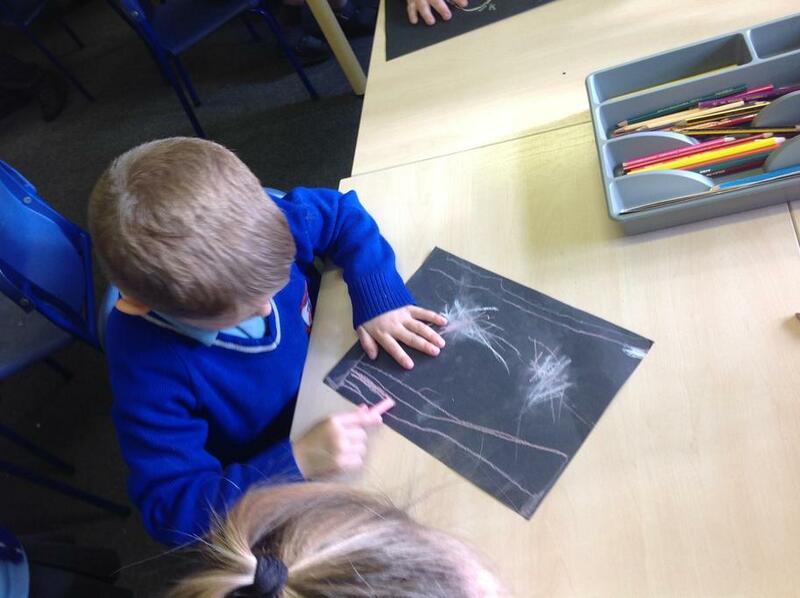 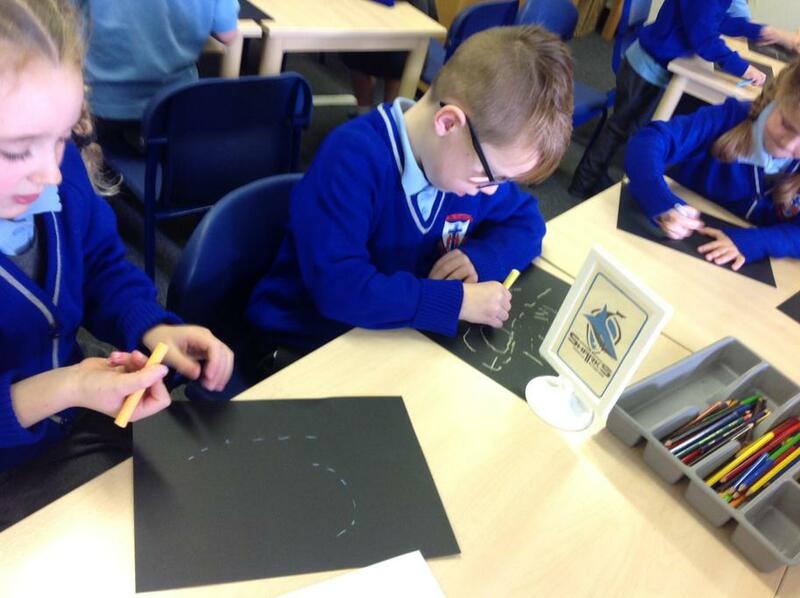 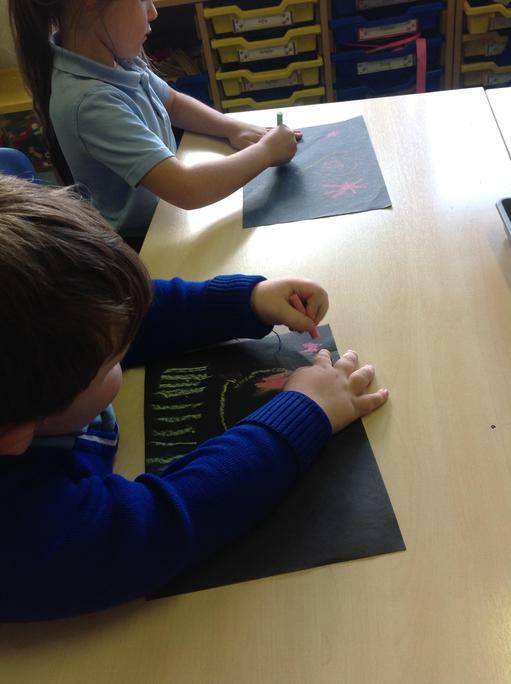 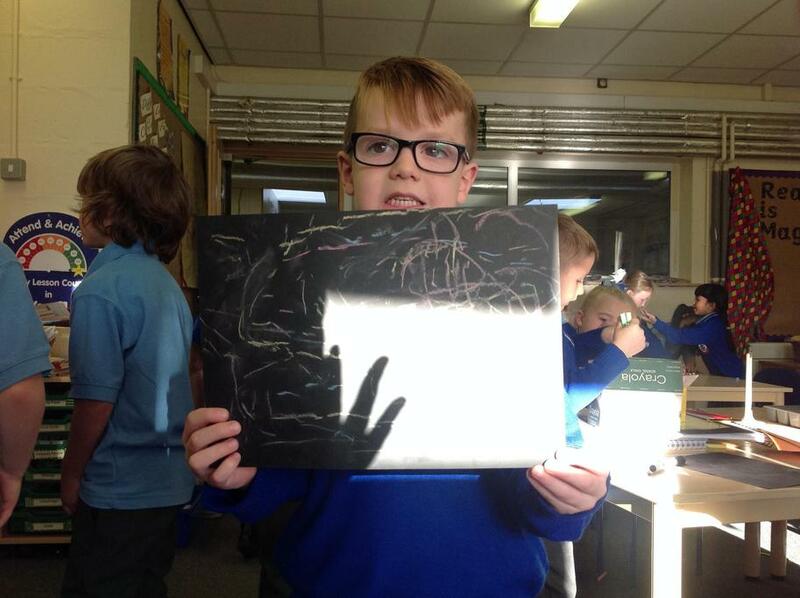 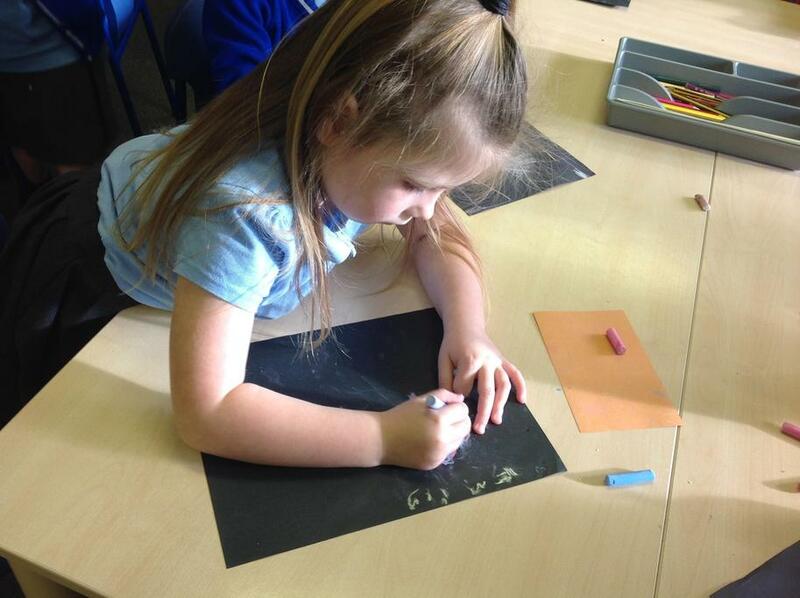 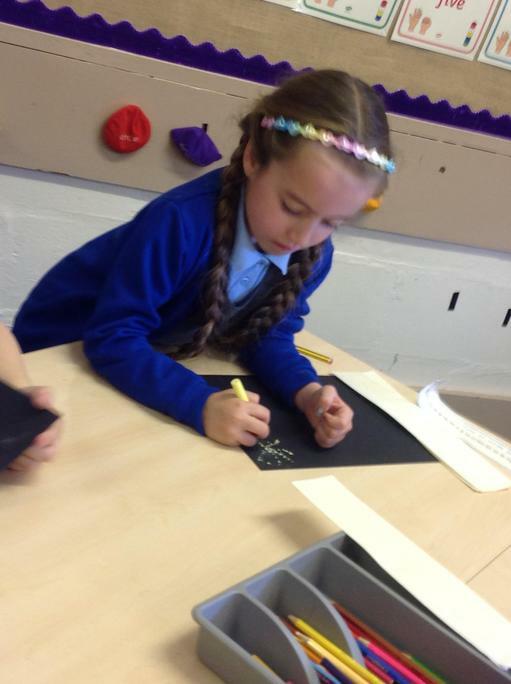 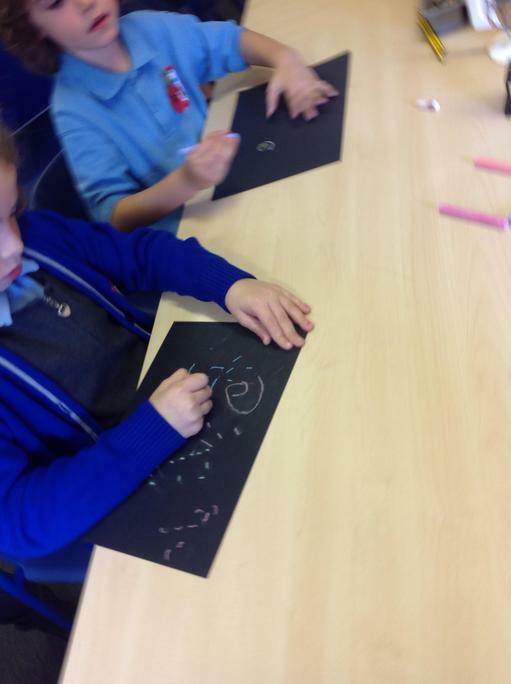 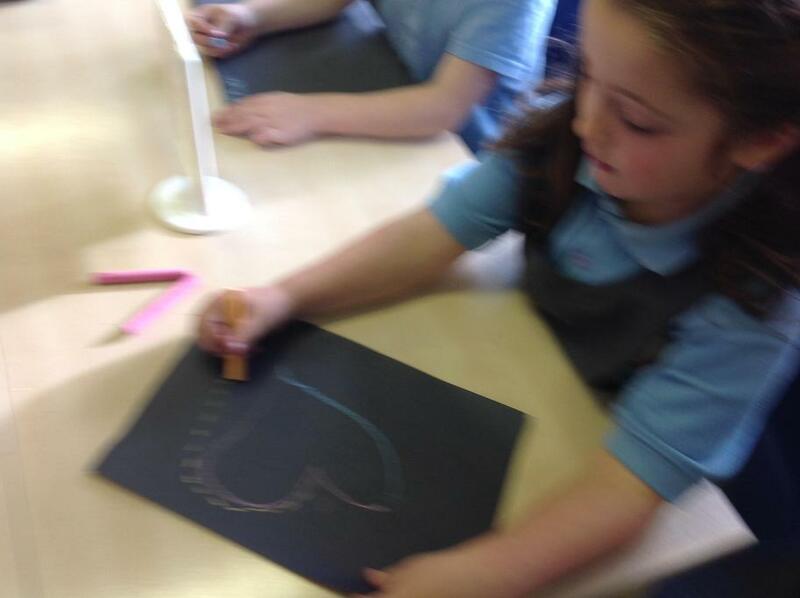 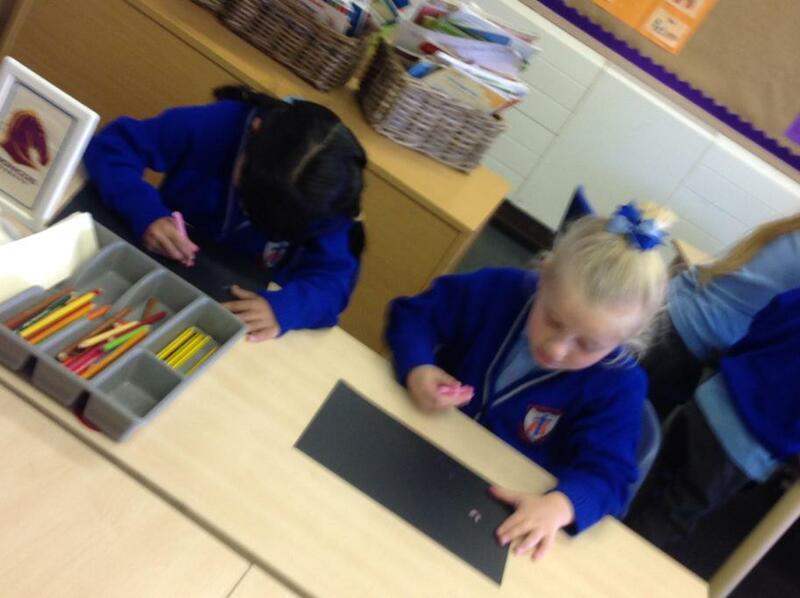 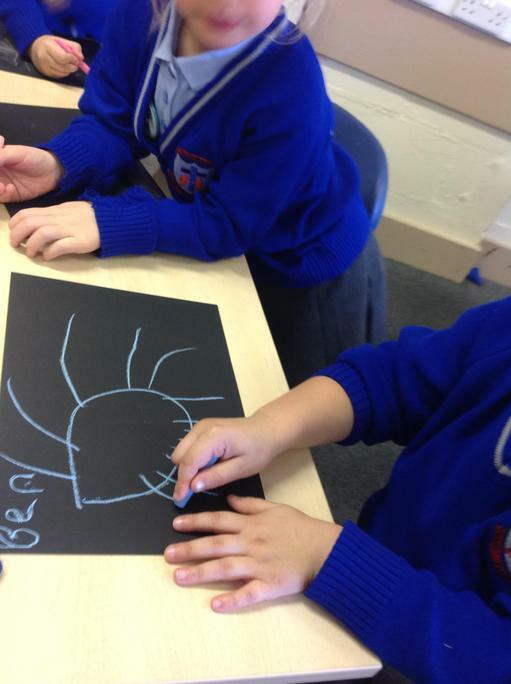 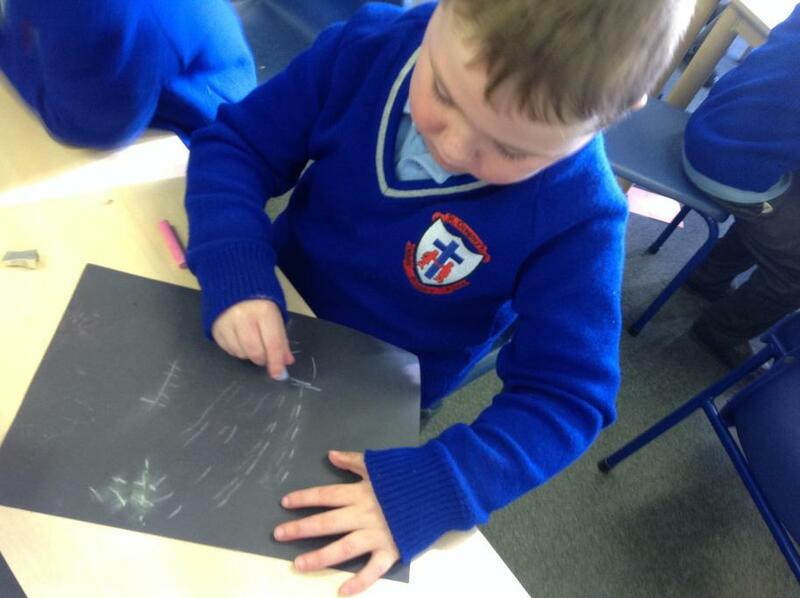 Year 1 have been creating pieces of art for our Weather topic. 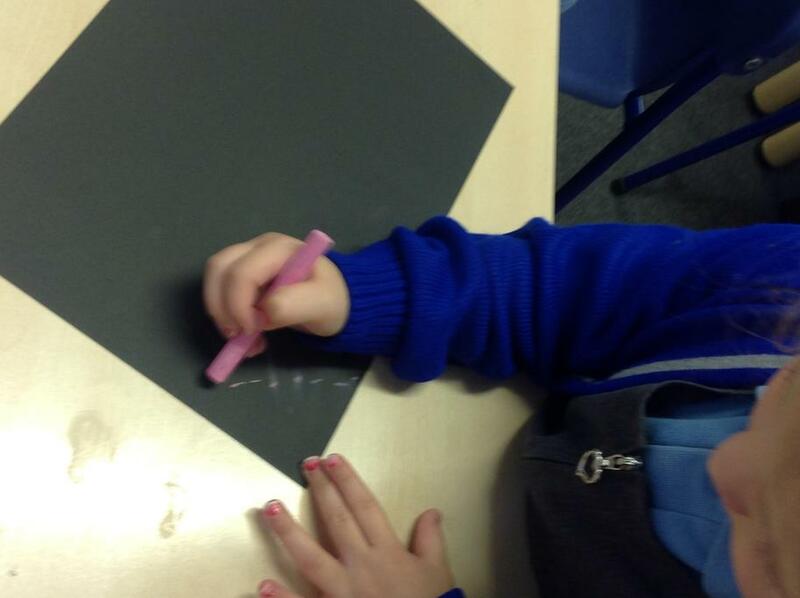 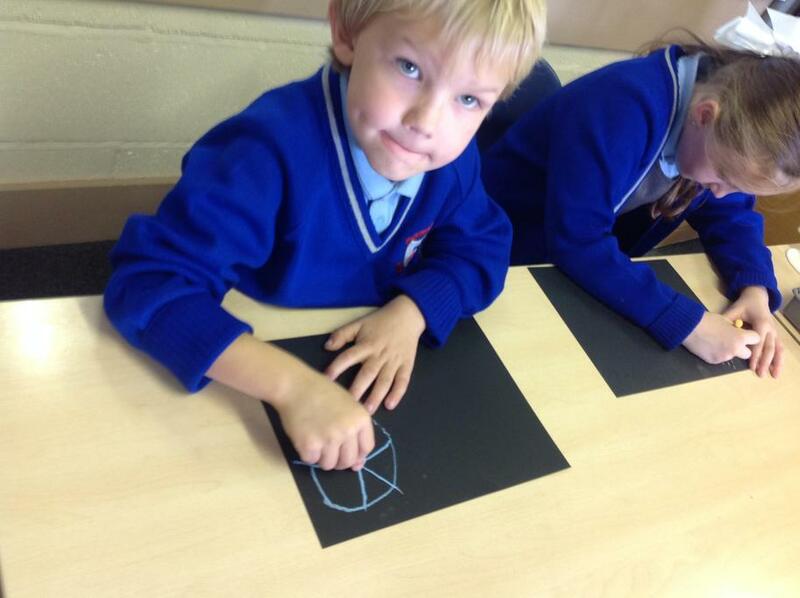 Using household objects to mark make in preparation for our garden topic. 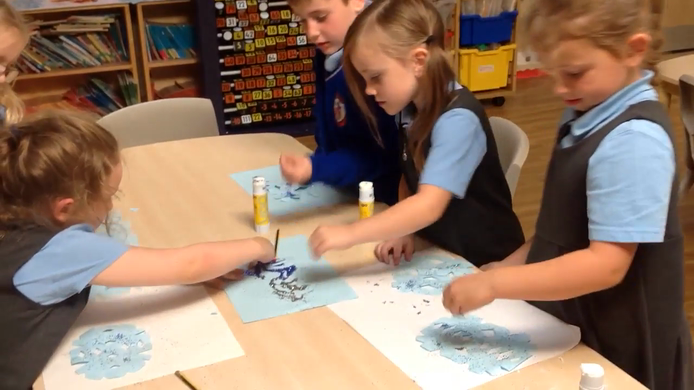 We made snowflakes with lots of glitter for our seasons display.